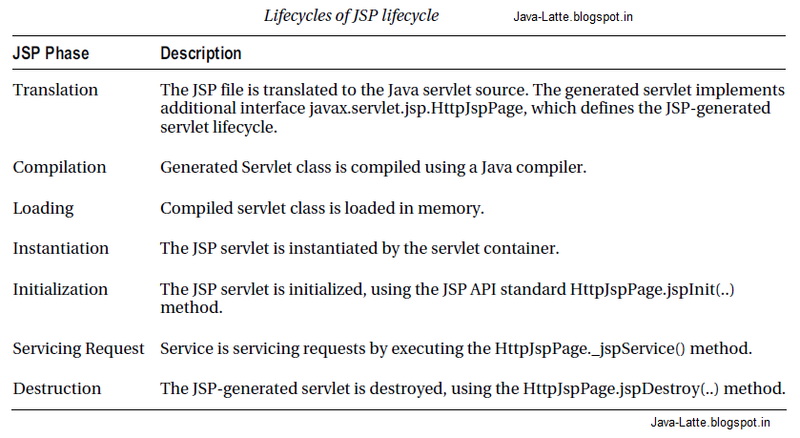 In this article, we look into the life-cycle of Java Server pages (JSP) along with its phases descriptions. Also, we see the flow of JSP handling the request and in what phases it goes and what would happened at the end after serving request. Java Server Pages (JSPs) are a simple but powerful technology used most often to generate dynamic HTML on the server side. They are a direct extension ofJava servlets with the purpose of allowing the developer to embed Java logic directly into a requested document. Using JSP Expression Language, you can develop powerful dynamic web pages powered by Java servlets without any Java code. A JSP document must end with a .jsp extension. 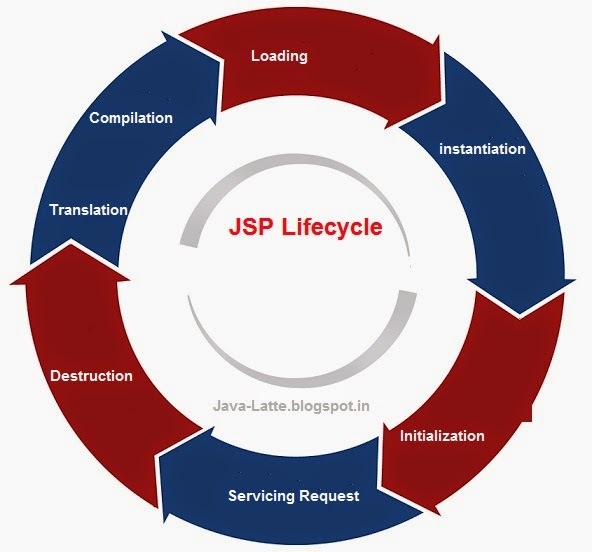 JSP page is processed in several phases during its lifecycle. Following table will describes all the phases of the JSP lifecycle. This entry was posted in J2EE and tagged Lifecycle of Java Server Pages, Lifecycle of JSP, Phases of JSP on October 22, 2014 by pardeep131085.